World Summit Awards Australia aims to identify Quality Digital Innovations in new media applications originating in Australia, which are aligned to addressing one or more of the 17 SDGs by the UN. Annually, most suitable digital innovations from individuals, start-ups and companies are nominated for the World Summit Awards (WSA) global contest, to represent Australia. WSA Australia aims at identifying the best Australian Digital Innovations with a positive impact on society that’s aligned to one or more of 17 SDGs by the UN, and take them to the international stage of the World Summit Awards Global Contest. This is a platform which is a gateway for Australian digital innovations, to meet, greet, collaborate and be recognized internationally. Applicants who pass the Jury and Grand Jury criteria in the Global Competition gets fully sponsored air travel and hotel accommodation to attend the WSA Global Congress and meet their counterparts from other countries, share thoughts, brainstorm and learn from each other. At times, this also could become a platform where you might meet future investors or business partners. Using strategic partnerships, email campaigns and social media posts, applicants enter WSA Australia Local Call. Applicants from Local call are judged and nominated to the WSA Global Contest. WSA Global Contest Online Jury consists of 80 Experts for 180+ UN member countries who evaluates and shortlists nominations. WSA Global Contest Grand Jury consists of 16 Grand Jurors for 180+ UN member countries who evaluates and selects winners. All Winners are invited on a fully sponsored visit to the WSA Global Congress to attend the awards ceremony and network. Nominated 6 of the best Australia digital innovations to represent Australia. 4 Nominees advanced to the Grand Jury Rounds to represent AUS in 2017. Nominated 8 of the best Australia digital innovations to represent Australia. 3 Nominees advanced to the Grand Jury Rounds to represent AUS in 2018. Significant awareness and Marketing worth were created for those nominated from the WSA Australia local call. WSA Australia creates increased awareness amongst the Australian Companies, Startups, Individuals & Youth regarding the 17 SDGs and how they can align their innovations to positively contribute to society. World Summit Awards Australia was initiated in January 2017 as the Australian Local Chapter of the World Summit Awards (WSA) global contest. Every year, winners selected by the WSA Australia local call will be Nominated to the World Summit Awards Global Contest. This is a 100% free contest and gives local nominees an opportunity to take their digital innovations to a Global platform and represent Australia. This multi-aim award encourages positive Social Impact within the 17 SDGs framework and nominates the best Australian Digital Innovations to the World Summit Award Global Contest. 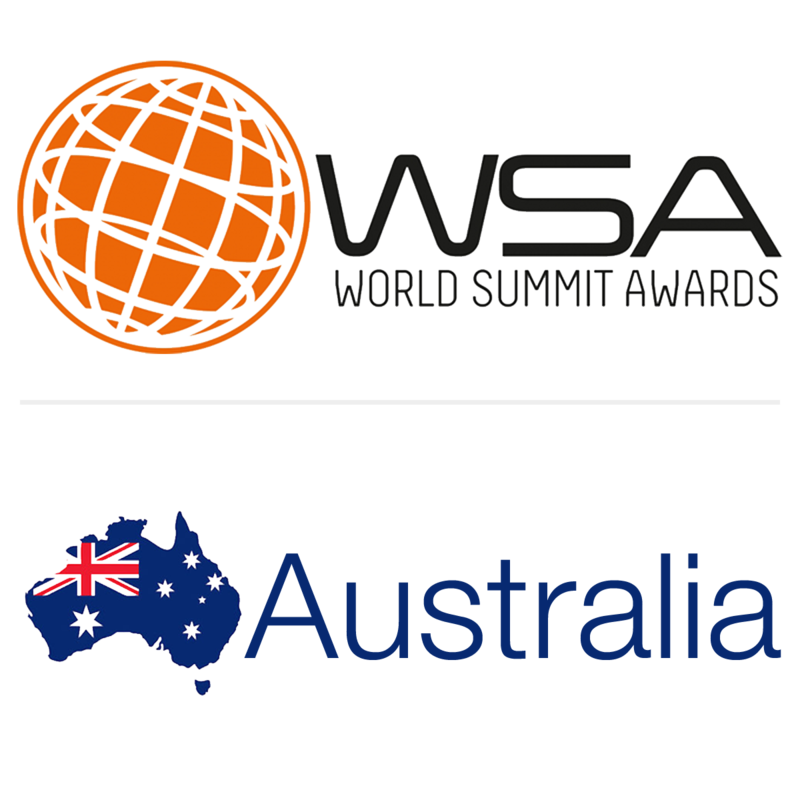 Since its origin in 2017, WSA Australia has already taken 14 Australian innovations to the Global stage of World Summit Awards. This has allowed these nominations to compete and get recognition at an international scale. WSA Australia is a highly diverse and democratic awarding system, that selects and promotes Australia’s Best Digital Innovations with a positive impact on local society.